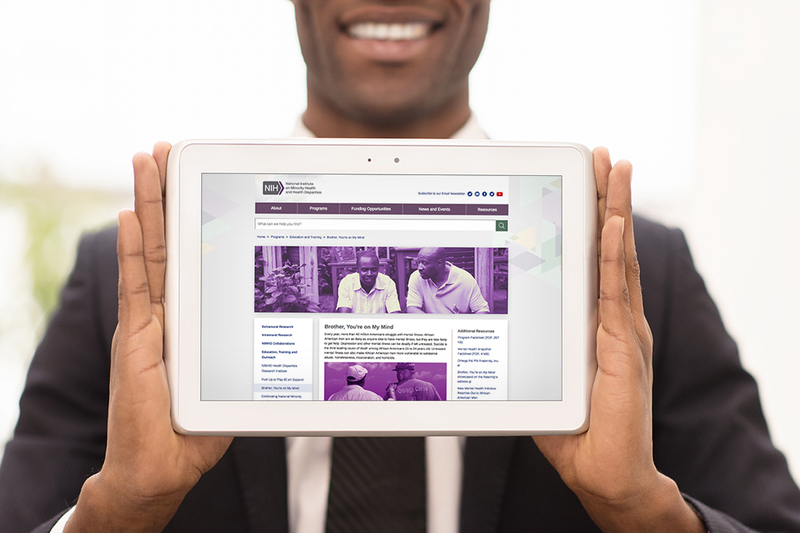 Develop educational materials that NIMHD’s partner Omega Psi Phi Fraternity Inc. could distribute to its chapters to share with their members, their families, and their communities. Implement an outreach strategy that helps to increase the conversation about mental health in African American men. African American men are as likely as anyone else to have mental illness, but they are less likely to get help, which makes them more vulnerable to substance abuse, homelessness, incarceration, and homicide. 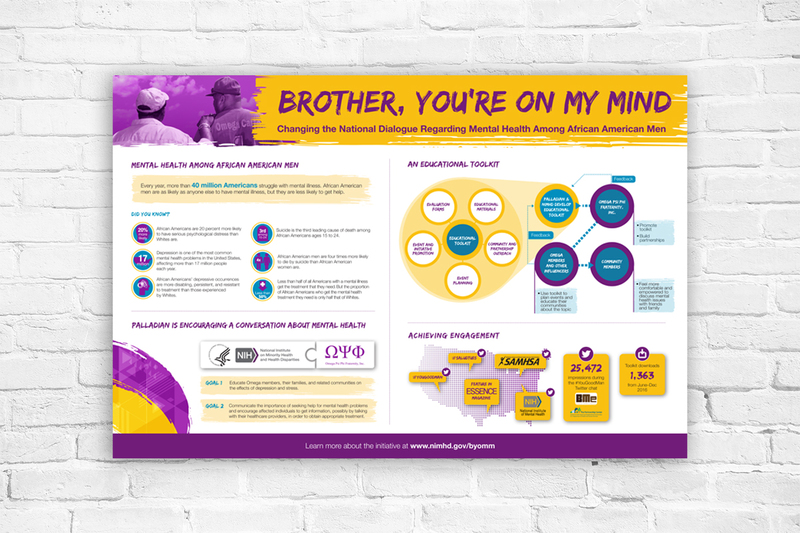 To address this health disparity, we used our expertise in public health communications and partnership strategy to help Omega members and their communities understand mental illness and be equipped with the right tools to help manage it. 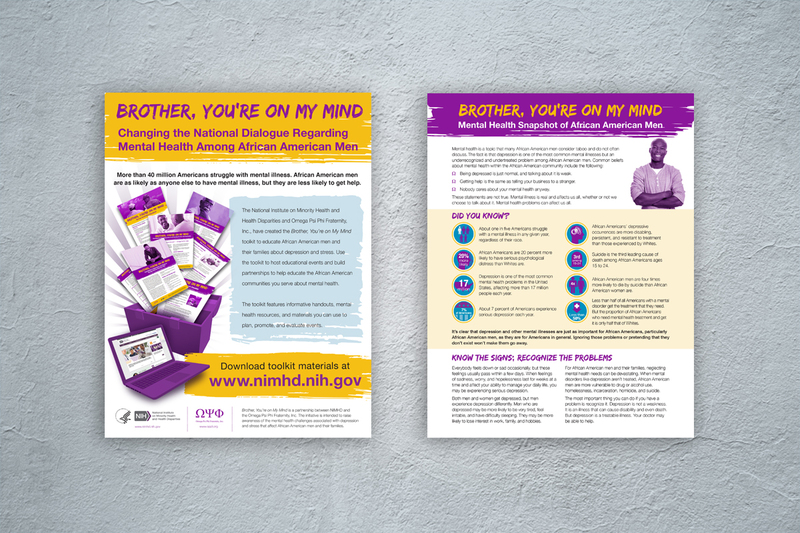 Through an iterative process with Omega members, NIMHD, and our creative and communications teams, we developed educational and toolkit materials that are based in the science of mental health and that speak to the communities we need to reach. Omega disseminates the toolkit through national, regional, and chapter meetings and events, encouraging members to reach out into their communities. Now Omega members have the tools they need to execute community education events and build strategic community partnerships, from educational materials about depression and stress to event planning checklists to community and partnership outreach guides. Not only do they have the tools, but they’re using the tools. 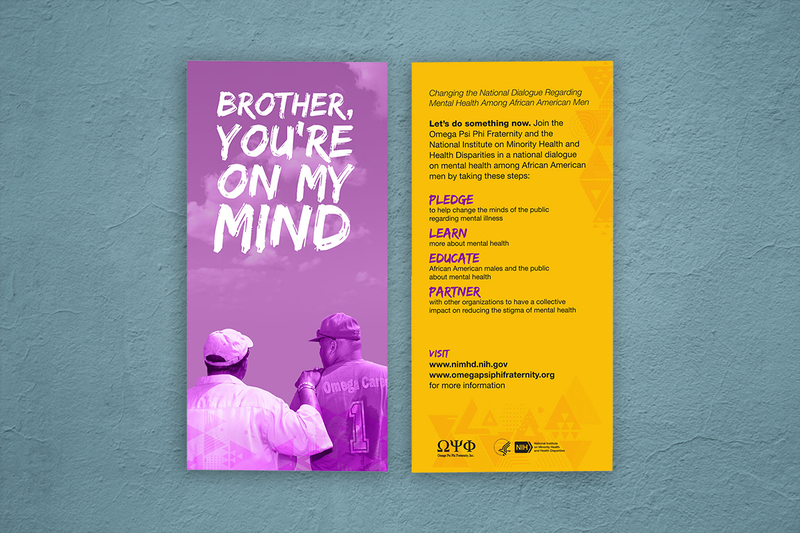 From church groups and community men’s groups to features in widely recognized publications such as Essence magazine, Omega fraternity brothers are using the materials and strategies to encourage men nationwide to reach out for help to improve their own lives and the lives of those around them.